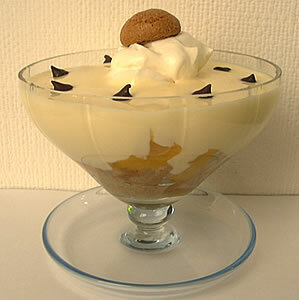 Would you like to make trifle? 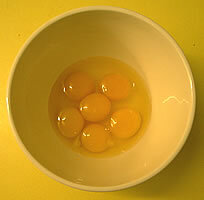 This page shows you how. 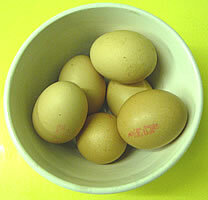 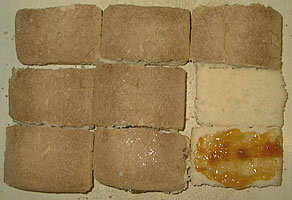 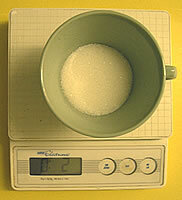 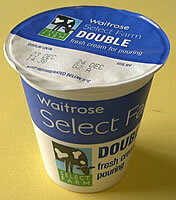 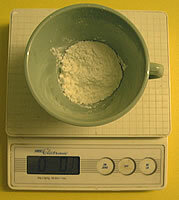 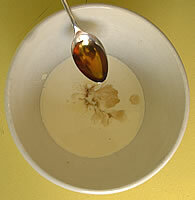 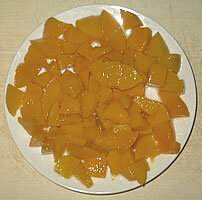 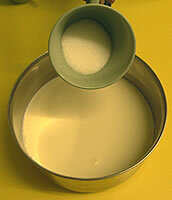 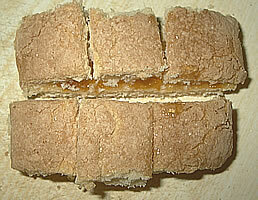 The quantities shown are enough to make 6 portions like the one shown below. 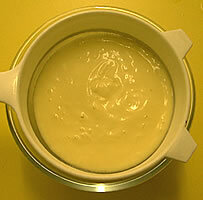 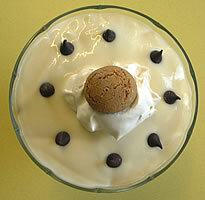 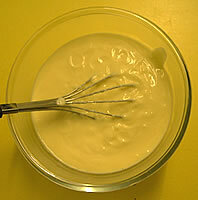 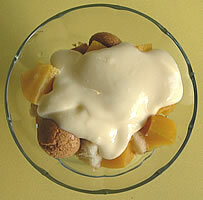 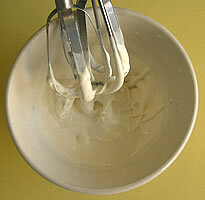 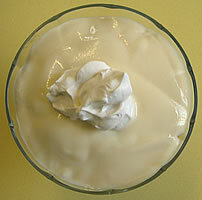 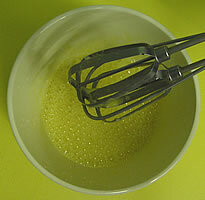 Below are instructions for making 1 pint of egg custard for use in the trifle. 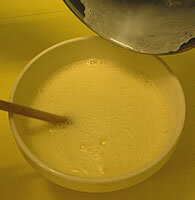 If you prefer you can buy ready-made custard or make instant custard (for instructions, see: Britain/Food/Cooking/Crumble). 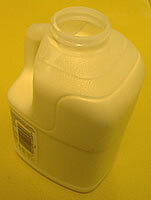 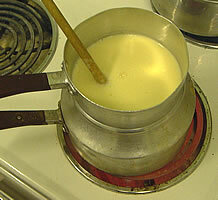 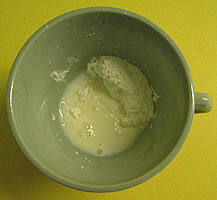 Heat milk until nearly boiling. 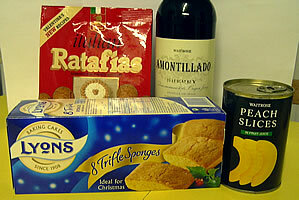 Below are the ingredients used to make 6 portions of trifle. 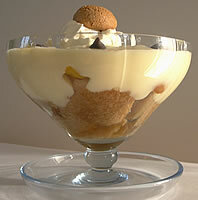 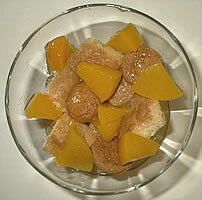 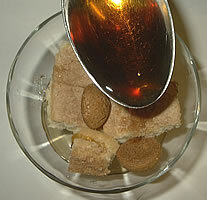 You can make them in one big bowl, but it looks more attractive if made in separate glass bowls.